Brick Landing Plantation offers a unique golf experience on the southern coast of North Carolina. 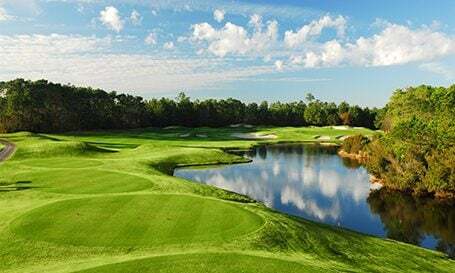 This 18 hole course, also know as “The Brick” runs along the Intracoastal Waterway while winding through beautiful coastal marshes offering breathtaking views of the Atlantic Ocean. This semi-private course offers all the benefits of a private club while still being open to the public. Regarded as one of North Carolina’s finest, this 18-hole championship course is ideal for golfers of all skills set, but each hole will require concentration and strategy. But do not worry, golfers can sharpen their skill at the onsite driving range, short game practicing area and putting green. Golfers form all areas can experience southern charm at it’s finest with this magnificently spacious clubhouse. The Staff at Brick Landing Plantation offers structured guidance by trained professionals for all golfers, from the lone experienced golfer looking to improve his/ her drive or that newly developed golf group looking to have a little fun and improve together. The teaching staff excels with all golfers, no matter the age or skill set and they love when their passion can be shared, especially with a new golfer! Really liked the course layout and brand new greens. You can tell they are putting money back into the course to keep the customer coming back. Pro shop staff were very friendly. The course is challenging and scenic but also fair. Will definitely be back. Worth the time and money to go play. Too much water for my wife. She couldn't wait to get off the course. Greens were terrible. I would not recommend this to any serious mid to low handicapper. This was an interesting lay out. The greens are not in the best shape. Overall though, I was satisfied and for the price I would return. You need to either invest money into the course or close it. Not worth what we paid. I liked the lay out and views. Course was player friendly but greens were in poor condition. I'm assuming it's was because of the recent heat wave.. I will play again if greens are good.. Friendly staff and good track. The course condition was woeful. All of the greens were poor, some were unplayable. Greens fees were far too high for the course, and the $3 waters at the clubhouse were sadly typical. In its current condition, I wouldn't recommend this course to anyone--for $35 there is great golf to be had, but this isn't it. Bad experience, course overchaged and was not at all the same amount as when i reserved tee time. Course was terrible. First Time at this course, our foursome had a lot of fun and the staff was great.